Did you know that the bathroom is typically the most acoustically pleasing room in a house? The hard surfaces of tile, glass, and linoleum bounce sound wonderfully giving music added richness and depth. That's why we love to sing in the bathroom – it amplifies our voices and makes us sound better (fun fact, Weird Al Yankovic recorded his first single "My Bologna" in a bathroom). The only thing that makes singing in the shower even better is a little musical accompaniment from a water-resistant Bluetooth speaker, and today Amazon has one on sale. 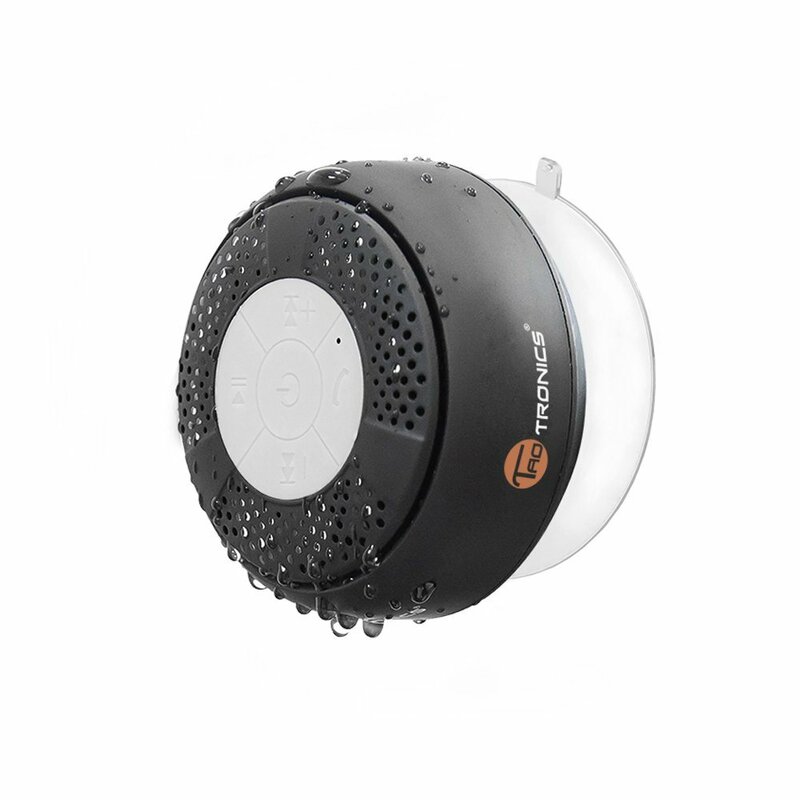 The TaoTronics water-resistant Bluetooth 3.0 shower speaker is just $10 after applying a $10 off coupon. That's a deal worth singing about. For $10 the little TaoTronics speaker is pretty feature rich. The device has dedicated hardware buttons that allow you to play, skip forward or back, adjust the volume, and even answer calls. Yeah, answer calls. It has a microphone that will let you talk while you are in the shower. I don't think I would want to talk to someone while I was in the shower, but hey, some of you might find that feature cool. The hockey puck sized device has a strong suction cup that can be used to adhere it to the wall of your shower. The advertised battery life is about 6 hours, so it should last just long enough for my wife to take a shower. The speaker has an IPX4 rating, which means it will take some splashing, but won't tolerate being submerged, so be careful to mount it in a place where it won't get too wet. The Amazon user reviews are overwhelmingly positive (4.8 star rating with 111 reviews), but you should take them with a grain of salt as most of the reviews are from product testers who got the speaker for free. That being said, the speaker is only $10, which is probably just slightly more than you spent on your last bottle of shampoo, so it's not going to take much for it to exceed expectations. To apply the discount enter the coupon code 999FSK03 at checkout. Shipping is free with an Amazon Prime membership. I hope you enjoy rocking out in the shower with your new speaker – don't forget your rubber ducky.